DAVID LE/Staff photo. 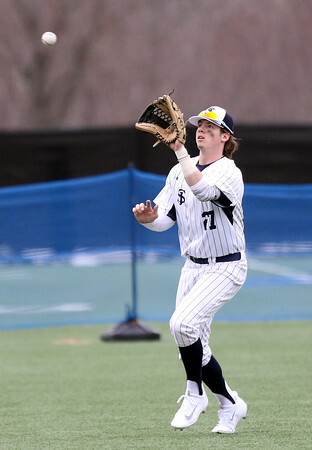 St. John's Prep senior center fielder Jacob Yish hauls in the final out of the Eagles' 10-2 win over Peabody. 4/8/16.